Hitman surely was one of 2016’s better games, and arguably the best instalment in developer IO Interactive’s long-running video game series. This was due to its superbly designed missions, stealth gameplay and interesting locales. These ranged from a high-tech hospital to a beautiful Italian villa, and no doubt were a joy to explore in this latest game to star iconic character Agent 47. The game wasn’t missing that classy black humour IO Interactive’s video game series is famous for, either. But perhaps one of the most interesting aspects of last year’s Hitman reboot were the game’s Elusive Targets, assassination targets that only appear in the game for a limited period of time. 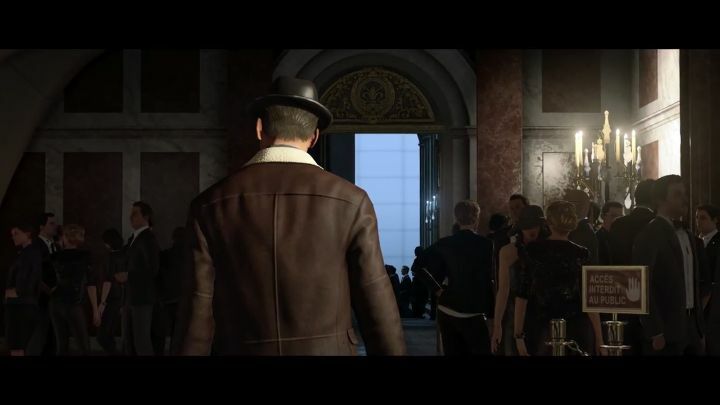 In these missions players are not allowed any further attempts at taking out the Elusive Target should they die during the mission (it’s game over for good). The Elusive Target missions are for the quick-witted and those with nerves of steel, then, and require a profound knowledge of the map the Elusive Target will be roaming in. And Hitman’s latest Elusive Target (number 23) is now live in the game, and looks likely to be as challenging as earlier ones were. This will surely be a challenge taking into account how crowded the mission’s setting is, although at least we know The Paparazzo will be attempting to get close to fashion designer Sebastian Sato in order to interview him, giving us an idea of his whereabouts. 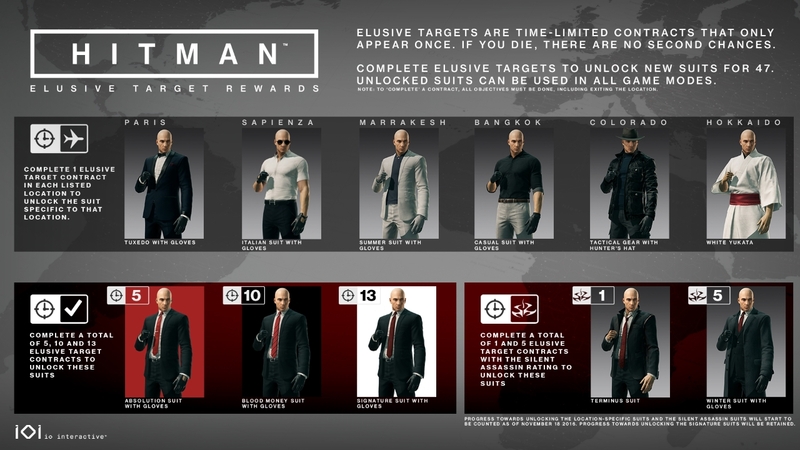 Succeeding in this mission will allow players to unlock more outfits for Agent 47 as seen in the image below, which shows the different rewards available to players for dealing with Elusive Targets in the game. Note: Elusive Target 23 “The Paparazzo” will be available in the game for 11 days, until Friday, April 18.